If you're short on cash and bills are piling up, Rapid Cash offers payday loans up to $2,500. Get started by bringing in your photo ID, proof of income and a bank account. We'll quickly process your application and provide an instant lending decision. If approved, get your cash on the spot and pay back on your next pay day. Need more cash than a pay day loan offers? 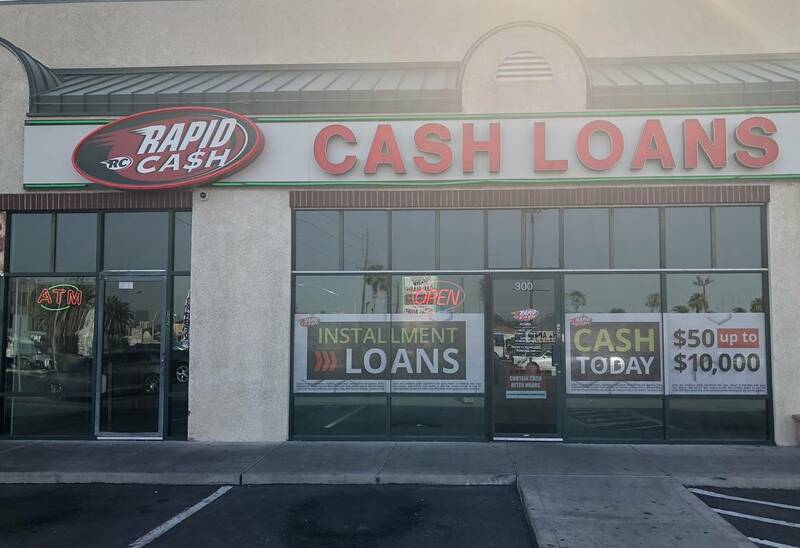 Rapid Cash offers title loans up to $25,000. Bring your photo ID, a clear car title and registration, your vehicle, proof of address, and proof of income to get started. We’ll do a quick vehicle inspection and provide you with an instant lending decision. If you need money quickly and don't have a checking account, apply for a signature loan. To qualify for a signature loan, you'll need a reliable income source we can verify, proof of address, a working telephone number and your photo ID. Rapid Cash is proud to cash ALL types of checks. No matter the amount, we offer low rates and will never hold your check, so you can walk out with your cash in minutes. Are you looking for the convenience of a debit card without the hassle of a bank? Stop by our store to get an opt+® Visa® prepaid debit card at no initial cost. As an opt+® cardholder, you'll enjoy complimentary loads and unloads at Rapid Cash stores. Send money from Las Vegas to countries all over the world with a MoneyGram ® wire transfer. You can also make bill payments or load a prepaid debit card quickly using our wire transfer service. 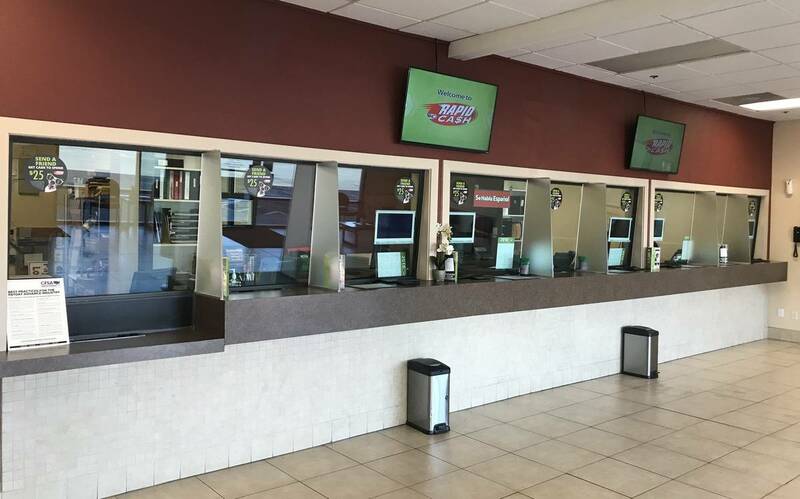 Find Rapid Cash on the southeast corner of Pecos and Flamingo. We're in the same shopping center with Shell Gas Station next to Little Caesars Pizza.